There is a new call for HIGHLY EXPERIENCED ANZ SEDIMENTOLOGISTS to apply for a position on IODP Expedition 371. For shipboard scientist responsibilities see http://iodp.tamu.edu/participants/scientist_jobs.html. Deadline of November 7, 2016. This is a wonderful opportunity for suitable ANZIC scientists to join Expedition 371, which will sail from 27 July to 26 September 2017. The chance of an excellent applicant being accepted is clearly high, as a clear lack of expertise has been identified. For the sedimentological position, experience of shipboard core analysis, and ideally ODP/IODP experience, would clearly be an advantage. Brief outline: The Tasman Frontier expedition (based on IODP Proposals 832-Full2, https://iodp.tamu.edu/scienceops/precruise/tasman/832-Full2.pdf) will investigate the Eocene Tonga-Kermadec (TK) subduction initiation (SI) and evaluate whether a period of high-amplitude long-wavelength compression led to initiation of TK subduction or determine if alternative geodynamic models were involved. Core and log data from boreholes in the Norfolk Ridge, New Caledonia Trough, Lord Howe Rise and Tasman abyssal plain will provide constraints on seismic stratigraphic interpretations and the timing and length scale of deformation and uplift associated with the largest known global SI event and change in plate motion. The Paleogene and Neogene sediments will also constrain paleoceanographic changes caused by SI as well as tropical and polar climatic teleconnections and the transition from greenhouse to icehouse climate states in a region with large meridional variations in surface water properties in a strategic ‘Southern Ocean Gateway’ setting. Australians should visit www.iodp.org.au for a link to the application form, a completed version of which should be sent to Neville Exon (Neville.Exon@anu.edu.au) and Rob McKay (robert.mckay@vuw.ac.nz). New Zealanders should contact Giuseppe Cortese (NZODP@gns.cri.nz). Don't hesitate to contact us for more information or advice. Applicants should bear in mind that their applications will be firstly reviewed and ranked by ANZIC and, if they pass that hurdle, by the expedition co-chief scientists. Clearly, they need to convince both groups that they would be excellent in the role. Note that non-tenured applicants must have a position at an Australian or New Zealand member institution for at least one year and ideally more after the expedition, to enable them to carry out the necessary post cruise research. 1. Participation Plan and Budget (maximum of four pages): This should set out why ypu are interested in the expedition, how your skills suit the position applied for, what you would bring to the expedition, and the nature of your initial post-cruise research plans (including publication plans), and a brief outline of what budget you might need beyond that covered by their institution. Normally, to maximise the return to ANZIC from the involvement of our scientists on expeditions, we ask that applicants endeavour to assemble a team, including ANZIC scientists, of potential land-based science party members in various fields, set out who has agreed to join that team if you are successful, and what they would aim to do post-cruise. The potential existence of such a team, which would provide additional analytical and scientific skills, would strengthen the applications. If all went to plan, the team members could become part of the land-based science party, and thus get early access to material from the vessel. Of course, final research plans will depend on the material actually recovered by the vessel, and negotiations aboard ship as to who does what. There may not be time to do this in this case, and the main thing is to get in a coherent and convincing application for yourself. If you can indicate the nature of a team that may join you, please do so. 3. Letter of support for non-tenured applicants by their supervisor: This should cover general support from the institution for the application, include an outline of the proffered post-cruise support, and indicate when the present position will end. For ANZIC scientists all travel costs would be covered. In addition the ANZIC IODP Office may provide up to $A40,000 for post-cruise activities (mainly analytical costs) for Australian and New Zealand university and research institution scientists and post-graduate students, if funding cannot be obtained in any other way. Applications for such funding can only be made after expeditions are completed and samples are in hand. The deadline for scientists to submit applications to ANZIC is Monday, 7 November, 2016. The Flinders Ranges in South Australia present excellent surface exposures of the Neoproterozoic-Cambrian Adelaide Rift Complex, including sediments deposited in fluvial-deltaic to deep marine environments, large canyons and salt-diapir formed minibasins. These have great significance globally, as the Tonian to Cryogenian succession hosts key sections demonstrating extreme climatic variations through this time, whereas the upper part of the Ediacaran succession hosts exceptional palaeontological evidence for the evolution of multi-cellular life, thus representing a key time in Earth history. In addition, the sedimentary record of the Flinders Ranges has great potential for use as an analogue for similar successions in the subsurface, including hydrocarbon systems in some of the world’s most productive regions, for which there are few outcrop analogues that are as well exposed as they are here. The rift complex formed as Rodinia split apart, yet the timing and tectonic geography of this are highly contentious with arguments about the identification of the conjugate eastern continent and the timing of rift-drift as the nascent Pacific Ocean developed. Broad palaeogeographic maps exist for the region, but by integrating sedimentology with modern geochronological techniques, these projects aim to document the sediment distribution systems, provenance evolution and tectono-geographic evolution of the Adelaide Rift Complex. There is a great potential for new detailed description and interpretation of these successions, many of which have not been previously studied, or not studied from a detailed sedimentologic perspective. The findings of this research will have broad impact. •	What was the large-scale tectonic geography of the area in the Neoproterozoic? What was the open-ocean connection, when and where was this? •	Detailed interpretation of the depositional environments of the large canyons within the upper Ediacaran. •	Formulation of forward model concepts that describe dynamics of the mechanisms hypothesised to have driven canyon forming. •	Sedimentology of the Cambrian section, and potentially expansion of focus to explore a comparison between this and other Centralian Superbasin basins (e.g. the Officer and Amadeus). This could potentially become a basin-to-basin comparison between analogous strata. Basic correlations have been presented previously, but this has not been done from a detailed sedimentology, provenance, and geochemistry perspective. •	Relation of the middle Cambrian of the Flinders Ranges to the formation of circum-Gondwana orogenesis directly after the supercontinent amalgamated (i.e. a focus on sedimentology, provenance and age-dating). Methods will include extensive fieldwork in the central and northern Flinders Ranges, involving basic geological field mapping techniques along with constructing detailed stratigraphic logs, in order to investigate sediment thickness, facies variations. Laboratory work will enable improved age constraints on the formations and likely involve U-Pb zircon and apatite, fission track detrital apatite and 40Ar-39Ar detrital muscovite analysis. Eligibility and funding: If interested in this project, you need to apply to Dr Kathryn Amos (kathryn.amos@adelaide.edu.au) to express interest and discuss your suitability, ASAP! A keen interest and background in sedimentology and field geology is required. You will need to have a 1st class or Upper 2nd class Honours degree (or predicted grades if you’re doing Honours this year), or a relevant Master’s degree that contains a significant research component. The successful candidate will then need to successfully apply for a University of Adelaide Domestic Scholarship (including the Australian Postgraduate Award and Divisional Scholarships - Australian and New Zealand Residents are eligible to apply). The deadline for this is October 31st . You would need to commence study before 31st March 2017. Funding is available to cover research expenses and attendance of at least one international conference. How to apply: Contact Dr Kathryn Amos with your expression of interest. Please attach a copy of your degree transcripts if you are not a University of Adelaide student or graduate. Australian School of Petroleum and School of Physical Sciences, Centre for Tectonics, Resources and Exploration, The University of Adelaide, Adelaide, South Australia. Note: This is not open to international applicants as the deadline for International Postgraduate Research Scholarships for Semester 1 2017 has passed. The University of Tasmania (Australia) is inviting applications for two PhD projects in submarine volcanology and sedimentology. Formal application deadline is mid-October, and candidates should make contact ASAP. The first project is based on the products of the deep submarine eruption of Havre in 2012 (Kermadec arc). The second project is based on consolidated samples from the IODP Expedition 350 in the IBM rear-arc, and may be linked to other past IODP expeditions. The candidate selection is highly competitive amongst the University, and we are seeking an applicant with at least one published article in a peer-reviewed journal. The student would be part of the dynamic Submarine Volcanism Group at the University of Tasmania, and would benefit from a large panel of experts in Earth Sciences in general. Geology and Oceanography at the University of Tasmania have received the maximum grade of 5 in the 2012 Australian ERA rankings (i.e., ‘well above world standard’). 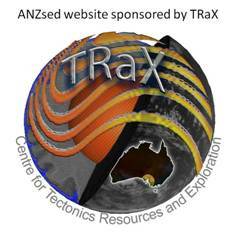 The Faculty hosts the world-class ARC Centre of Excellence in Ore Deposits (CODES), and the Central Science Laboratory at the University of Tasmania has world-class geochemical instruments. Supervisors: Dr. Martin Jutzeler (U. Tasmania, Australia), Dr. Rebecca Carey (U. Tasmania, Australia) and A/Prof. James DL White (U. Otago, NZ). Very little is known on the transport and sedimentation processes occurring in association with deep submarine eruptions and their aftermaths. This project aims to: 1) Identify and characterise various syn- and post-eruptive sediment transport associated with the products of the 2012 deep submarine Havre eruption (Kermadec arc). Available data include exceptional ROV video footage, high-resolution bathymetry, and sediment samples collected during a cruise in 2015; 2) Reconstruct the general sedimentation pattern around the Havre volcano, including the various currents in the water column; 3) Analogue sedimentation experiments with mixed components in water tanks and flumes. In 2014, the IODP 350 expedition drilled at proximity of volcanic seamounts in the Izu-Bonin-Mariana rear-arc. This expedition was part of a huge investment from the international Earth science community to understand evolution of volcanic island arcs and formation of continental crust in a global perspective, and through three IODP expeditions. From the collected cores, there is a strong opportunity for outstanding and innovative research on submarine sedimentology and volcanology. IODP Expedition 350 recovered more than 1,800 m of in situ sediments from a volcano-bounded basin and a volcanic apron in the rear of the Izu-Bonin-Mariana arc, giving an exceptional proximal to distal record of submarine volcanic activity during the Miocene to the Quaternary. The cores used in this project would be multiple well-preserved, consolidated volcaniclastic deposits from the lower part of the hole (Units II to VII). This extensive dataset will provide an outstanding record of submarine explosive eruptions, providing temporal constrain on frequency and types of eruptions from underwater volcanoes. It will be the base of a global dataset for submarine volcanogenic facies. This project has large implications on transport and sedimentation processes during subaerial and submarine eruptions, style of submarine volcanism, provenance of sediments, eruption periodicity, etc. Additional research on samples from other IODP expeditions (126, 340) and possible onland deposits (e.g. USA, Japan) is likely. The joint meeting of the International Sedimentological Association (IAS) and the Association des Sédimentologistes Français (ASF) will be held in Toulouse from 8th to 15th of October 2017.